The party has gotten so big over at Sharon’s blog that today “Stamp Simply Celebrates” is spilling right over onto mine!! With Christmas almost here and lots of mailing to do, I think that Gift Cards are one of the best ways to send a little love to family and friends. 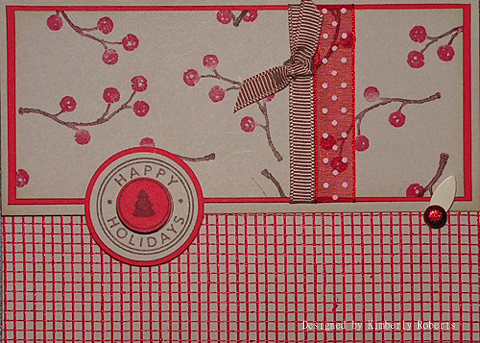 Well every gift card needs a holder, and there is a template and a whole gallery for inspiration that uses that template over on Splitcoaststampers (SCS). That’s because it was SCS’s Sketch Challenge #101. So your challenge is to make a gift card holder. Now if you have a different design that you like or want to try, no worries. Go for it! Now I have some really USEFUL Blog Candy that I hope any and everyone can use. Nope… it’s NOT stamps. Yup!! It’s a gift card! LOL I will send the winner their choice of the two gift card holders above WITH their choice of either of the two gift cards shown!! The first card for Target has a $20 value. The second card for Starbucks also has a $20 value. I’m not a coffee drinker, but I can tell you their hot chocolate can’t be beat!! To enter just leave a comment ON THIS POST. If you play in my challenge, please come back here and leave me a link to your creation! I REALLY want to see them all as I LOVE these little things. Oh and as a fun twist… if you do play and leave me a link here… you will automatically have a second entry for my Blog Candy!! Woohoo!! I will use random.org on Friday, December 12th at midnight PST to pick the winner! A couple of Christmases ago my DDIL Kimberly and I stamped our hearts out making these fun holders. Here are some that she made. And here are some others that I have made for wedding or new baby gifts. Remember: Anyone can play ANY of the challenges by ANY of the hostesses during the 12 days of Stamp Simply Celebrates!!! 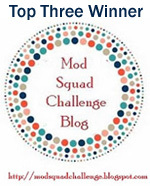 You DO NOT need to have a Blog to play — uploading your project to SCS (Splitcoaststampers.com) is not only permissible, but HIGHLY ENCOURAGED. When doing so, use the KEYWORD SSC08. Have a wonderful Sunday! Hope you can play along in my challenge!!! These holders are so quick, so easy and SO FUN!! Oh, yay! More fun gifty things to make! I love your GCHs – and I’m planning to make a bunch of my own (at least 4, right now). Thanks for an opportunity to win your candy! What adorable gift card holders. I am going to have to give this a try! What great blog candy too! My family and I love Starbucks – we even take my Grandma (who’s 89) there for treats! A truly usefudea this time of year . I like both Target and Starbucks . Those are really cute! I will have to check out the template, as I have my 16yo nephew’s name this year and he is so hard to buy for. I think I will go gift card all the way! I’m giving almost ALL gift cards this year for gifts so I loved seeing your gift card holders! I have already made a couple and off to make a few more! What a SUPER blog candy you’re offering! Gorgeous gift card holders. I love to make them. And I’m a Starbuck’s addict! What a SUPER blog candy you’re offering! Thank you very much for a chance to play! You are correct these are very useful at this time of year! I love this gift card holder! Great ideas! I have some gift cards to give so I think I’ll try some! Thanks for the chance to win! I love your cards! I’m going to have to take a look at your template and try it out for myself. And thanks for the chance to win the blog candy! A gift card to Target would be so helpful this time of year! These are sooooo cute! Thanks for another chance to win some blog candy. Gift card holders are fun to make. All of the ones you’ve shown us are just geat. Thanks for the opportunity to win some blog candy during Sharon’s celebration. I love your gift card holders – I made a whole bunch of those last year and completely forgot about that version! Yours are beautiful. Thanks for a chance to win! Your gift card holders are adorable! 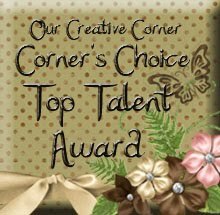 Love your samples – such talent! Beautiful gift card holders. May have to try these myself. Thanks for the opportunity to win. Your gift card holders are gorgeous! I need to make a couple holders for my nephews. Hopefully, I will get those made this week so I can post them. Your GCHs are awesome! I just made these a couple days ago – http://talesfromthecraftcave.blogspot.com/2008/12/holiday-challenges-and-gifts.html (scroll to bottom of post), but have a number more to make before the holidays are over, and I will definitely be CASE-ing your design! We made similar gift card holders at our monthly stamp club recently, but yours are so much prettier! Oh Susan, I adore both your gift card holders! Your colors and style are marvelous. 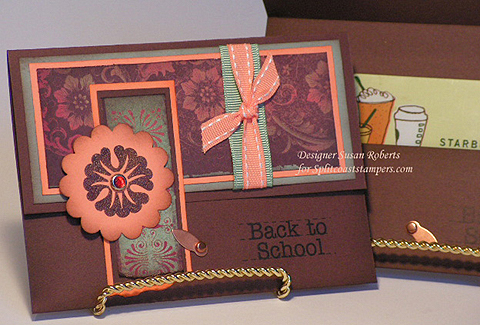 Love the DP, the rounded corners and the little embellishments. Thank you for the link to the SCS template. I’ve never participated in any craft/card making challenge, but I think you may have just inspired me to do so! These look fabulous and quite an inspiration! My gift holders have been much simpler so these have added an additional challege to my holiday gift giving! Thanks! Cute card holders! My hubby’s family is doing a gift card exchange this year, so I going to make two of ’em. Which one would I like? EITHER! But Target might win out – $20 to spend at their $1 Spot would be soooo much fun. Wow! How’s a body to choose? Both card holders are gorgeous, and both gift cards a wonderful as well. If I’m blessed to get to choose, I would have to say, you choose for me. Both card holders are beautiful. and I could get chai at Starbucks or craft goodies at target. Hi! Thanks for the chance to win some great blog candy!! Beautiful gift card holders! NEAT gift card holders and thanks for the generous blog candy! I think your gift card holders are a great idea – they really dress up the card and show that you want to make it a special gift for the person who’s getting it. Thanks for the ideas – and for the chance to win one of them! Wow, those are great gift card holders — all of them! Such good ideas, thanks for the inspiration. I love your gift card holders idea. I need some; so thank you for the inspiration; I’ll surely do a few this month. Thank you for a chance to win this generous blog candy! 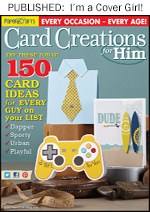 WOW … what a collection of gift card holder ideas!! AWESOME! And, what a great blog candy idea to go along with your featured project … aren’t you the clever one!!! GREAT job Susan … LOVE THEM ALL!!! beautiful and simple – exactly what is needed at this time of year! great job, thanks for sharing the inspiration!! Such fabulous cards!!! Thanks for the inspiration! These are beautiful card holders! I love the little thing you used to hold them closed (sorry…don’t know what it’s called). Those gift card holders are fabulous! I love the big bows, and the curly-q corners!! Beautiful gift card holders! Any who doesn’t love getting a gift card? Great blog candy, too! What a great array of holders Susan… All of them wonderful.. It is so much fun to make these over the holidays!! I love these little card holders! I have a couple of GCs to give this year, I hope I can make a couple of these!! I know I am going to be making some gift card holders this season. Thanks for the inspiration! And thanks too, for the opportunity to win. Great card holders! I would love to win one!! Thanks for the chance! Those are great gift card holders. Thanks for the ideas and a chance to win. I live in the Maritimes of Canada and do not have a Target but I wanted to let you know your cards are great. I love the design and your bows are wonderful. Hi, I need to make several gift card holders and your are great inspiration. I like that they are larger and have more of a presence when given. I love Target and Starbucks so I would love to win your blog candy! Those gift card holders are so nice. The blog candy is nice of you too. TFS! Such wonderful inspirations!! Thank you!!! Great gift card holders! Love all the unique designs! 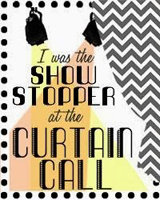 I need to make several this year, so this is great inspiration! Thanks for the chance to win the blog candy! Oh, your gift card holders are SO pretty and obviously SO versatile! What a great idea. And thanks for the chance to win the blog candy. Great gift card projects. I love the bows you created on each one–they give the holders that extra WOW at the end. Thanks for being part of the party. It has been fun. I appreciate the blog candy offer. Being unemployed right now, I sure could use a Target gc. That reminds me, not only do i need a holder I still need to buy a gift card! Where do you get your metal thingies on the cards to hold them shut. I can’t seem to find a good supply of just those!!! I love the gift card holder ideas! 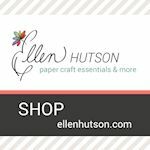 I do craft shows, so I am always looking for new templates. Thanks! What would we do without gift cards! I would love to win these card holders & who wouldn’t want to win the gift cards! Thank you so much for the chance! Have a great Christmas! What neat gift card holders! I will most certainly be giving these a try! Thanks so much for the chance to enter. wow, I love all the gift card samples, great inspiration! and thanks for offering some Fantastic ‘candy’ ! You projects are all gorgeous! Thanks for the chance to win some awesome candy! Lovely gift card holders. Where is that punch from? Thank you for the chance to win your blog candy. Either gift card is good with me. I love Hot Chocolate! Wow so many inspiring things to make, need to quit blogsurfing and get busy. Great job this week ladies. This is just the project I have been waiting for. I am going to make gift cards for all my grandchildren either for a card or mony so this project is right up my alley….thanks for sharing! Oh yeah, the blog candy is great! I love your gift holders. What a nice way to give a gift. Love your blog candy. My daughter is a Starbucks addict. so creative and inspiring! It’s challenging to know what to give teenagers and gift cards are the ticket for me. thank you for the ideas and the blog candy. I love your GC holders! I need to make a few of those this year myself ~ now I have a few to case 😉 Thanks for the chance to win blog candy as well! GC’s are always cool to receive!! Your gift card holders are stunning! I really like the decorative corners, and your choice of DP. Great idea for holidays or other gift giving occasions. Thanks. I’m always looking for cute ways to package my gift cards and these are great ideas. I’ll be back later with my holder. Thanks for the great candy and a chance to win. OMG!! So generous of you!! Those gift card holders are gorgeous! Thanks so much for the chance to win! These are WONDERFUL!! I am gonna try to get one done today…actually, I will need 4…LOL! Thanks for the chance to win one of yours! What a great gift card holder. I’m giving my adult son a gift card to Barnes & Noble this year so I look forward to playing in your challenge. Wonderful card holders! I love the idea of actually giving a gift cards because one size fits all, and this is a beautiful presentation. I would love to have the chance to win especially the Target one. Thanks for sharing and Merry Christmas to you!! Beautiful card holders! The card holders, themselves look like a wrapped gift. Fabulous gift card holders, I love the papers you used. I going to go and make a bunch today. Thanks for the inspiration and your generous candy offer. I enjoy making gift card holders. They are such a personal way to jazz up a plain old gift card. Thanks for the chance to win! Your gift cards are awesome!!! Thanks for the chance to win one of them and a gift card too! Thanks for sharing your ideas too! Wonderful! I cannot believe that I have been stamping this long and never knew about this site. 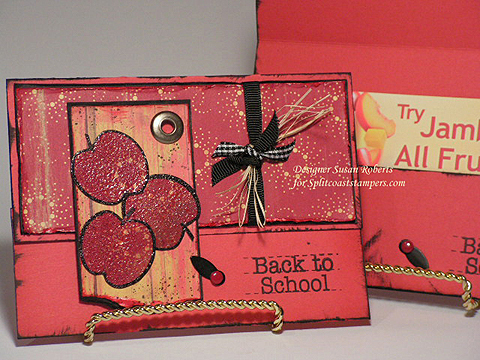 What great ideas….I have been discouraged with my stamping ability and needed just this sort of jumpstart. Bless you! How cute! I went to a stamp workshop entirely on gift card holders. It was awesome and great for ideas all year long. I would be happy with either gift card. Thank you and have a happy holiday season! Thanks for the great blog candy offer- winning will be fun for whoever gets picked. Your gift card folders are beautiful. I love to make these folders because everyone thinks they are so cute. Thanks for a chance to win one of yours. I love making gift card holders. I’m not a coffee drinker either. Who wouldn’t want a Target giftcard??? They sell crafting supplies!!! Thanks for the chance to win. Great challenge. I know I need to make some of these. I hope I can find some time to participate. This couldn’t have come at a better time. On my list of things to do today – Make gift card holders. Target – Starbucks Starbucks – Target Decisions decisions decisions. Your gc’s look simple to make but elegant. Thanks for sharing. wow! This is very generous of you. Your GCH are really cute and fun. Please enter me in your blog candy. I would like either one, probably Target more. Great ideas here!! Ohhhhhh, love those big bows! 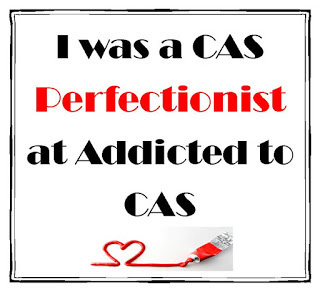 !…..and what awesome blog candy!! Hurray! My to do list today includes making gift card holders 🙂 Also, my fav. Starbucks treat is a mocha with 2 extra shots of chocolate. I like their gingersnap and peppermint mocha’s this time of year. 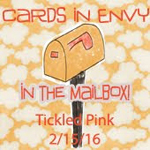 TFS your wonderful gift card holders and offering blog candy. Susan your projects are wonderful!!! Thank you for another chance to win yet even more blog candy. Hope you have a wonderful week ahead. Beautful gift card holders ! I’ll have to go look for the template as I need to make one of these . Thanks for a chance to win ! Thanks for the gift card holder inspiration! Fabulous gift cards! Love the bows– makes for such a fabulous presentation! Wow…those are all gorgeous cards! Thanks for the inspiration! Susan these are all so wonderful, TFS. beautiful cards and the bows add so much. Your gift card holders are so cute! I need to make several this year, so I appreciate the template and ideas. Hope I can get that project done before the 12th so I can be entered twice! Thanks for the challenge and chance to win. . Thanks for the chance to win some candy! Wow, these are beautiful gift card holders! Susan, thank you for sharing them! Those gift card holders are so cute, and such a fun idea! Thanks for sharing…and the prize is nice too!!! What classy looking gift card holders! 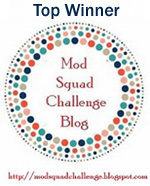 Great challenge–I hope I get a chance to participate–busy week ahead but I will try. Thanks for the chance to win–I love Target. Wonderful gift card holders! I am planning to give a few gift cards this year and will have to try your patterns. Thanks for the chance to win! I love all the gift card holders. They are definitely useful! Almost everyone in my family is receiving a gift card and having all these ideas are wonderful. Thank you for sharing your creativity. What really cool blog candy and so useful to anyone!I have yet to try Starbucks hot cocoa but am going to tyr it now! All your gift card holders are fabulous. I need to make some so I think I’ll be using some of these ideas. Thanks for offering the generous candy. Either card would be a very special treat to win! I just made several gift card holders, but I like yours better. I’m going to give yours a try this afternoon. They look great!!! I really enjoyed reading your blog! Thanks for the candy blog – one can use gift certificates anytime of the year, but especially now! Merry Xmas! Love these! I will DEFINITELY be casing this for Christmas gifts! And the blog candy can’t be beat 🙂 Hoping here….. Thanks for the pattern for the gift card holders. I also have been planning on making some so this is perfect timing. It has been snowing since last night and everything is white so maybe I’ll get in the Christmas spirit and start today. Beautiful Cards. Gift cards seem to be the way to go with my teenage neices and nephews. Thanks for the great ideas! I love target! Thanks for the chance to play. lovely gift card holders! and target or starbucks cards to boot – choices, choices 🙂 thanks so much! The gift card holders are way cute. What a wonderful way to present a gift. Thanks for the chance to win one of these creations as well as a gift card. Love your gift card holders. I’m always looking for new ideas to make gift cards. I love these gift card holders. They are a beautiful wrapped package in which to place the card. Thanks so much for your generosity in giving away these gift holders. Love both target and starbucks and would love the gift card holder as well. My target has a starbucks so you can’t beat that, thanks for sharing your ideas. Beautiful card holders. Thanks for the chance to win! Susan, I love your gift card holders! I’m always looking for new, creative ways to give a gift card other than simply placing it inside a card. These are very cute and a lot of options can be used. Thanks for the chance to win blog candy! I also have a gift card holder to show you…so pick me!! Gift card holders are on my list this week, so thanks for the template and inspiration! i love your cards that have the rounded edges on the top flap. thanks for the opp to win the gift cards. who doesn’t love target? also, i don’t drink coffee either, but starbucks peppermint hot choc is my favorite! esp with the little peppermint sprinkles on top. mmm! i need one right now. Your gift card holders are amazingly gorgeous! Thanks for the chance to win one (the gift card enclosed is nice, too). Love your cards and gift card holders. And who doesn’t love Target?? And I love Starbucks too. Love the gift card holders. Gee, just might have to make my FIL one since we never know what to get him. He wouldn’t appreciate the holder that much because that is who he is but at least I know I made it! His wifw would appreciate it too as she likes to make things. Thanks for a chance to win! Love all your creative endeavors! What cute gift card holders. With my family, gift cards are the way to go so these ideas will certainly come in handy. I live at Starbucks so I would love to win that card. I keep hearing about the dollar spot at Target, so that card would come in handy too. We have a Target on the other side of town and would you believe I have never been there? Thanks for the chance to win either one. I love the cards and the giftholder. I just made a holder for a bunch of DVD’s. I feel it’s hard to navigate around splitcoaststampers, but I will probably load my holder on my blog. I’d love to win one of the certificates for my friend that lives in the US. Thanks for the chance. Thank you for all the wonderful inspiration. I have several gift card holders that I have to make this week so this was a timely post! Also, thanks for the chance to win a gift card in one of your lovely holders! Very cute holders! I make holders every year because with teenagers gift cards definitely fit best. Thanks for the chance! Fabulous gift card holders! They are beautiful! WOW! How generous. Your cards look great. Thanks for the chance to win. You’ve given us plenty of inspiration to make a gift card holder! Wow, these are all so pretty! I especially love the big bows you put on them – that’s some serious eye candy! TFS such a great gift with your readers! I hope to find time to make one soon! Love your idea for gift card holders. I think I’ll definitely make a couple of those. Love the blog candy too. I agree Starbucks hot chocolate is the best. Great gift card holders! Thank you for sharing. Thank you for the pattern and directions and the opportunity to win your blog candy. So thrilled you posted these examples! My husband just informed me that he’s giving gift cards to his people at work. Now I have some inspiration! Gift card holders are the best – especially with a Starbuck’s GC in it!!!!! What cute ideas you have. These gift cards are just to cute. I’m going to have to add this to my have to try for Christmas. Thanks for a chance. Awesome blog candy. Love the gift card holders. I still have intentions of getting some done. Thanks for the inspiration. Thanks for the inspiration. I haven’t made my gift card holders yet, but I am looking forward to making at least a couple of them before Christmas. Thanks for the chance to win. I love those gift card holders. Thanks for the inspiration and the blog candy! WOW! What a generous give away! Sign me up please! I love your blog. It is so great to get the posts late at night so I have beautiful cards in my mind when I fall asleep! Yikes! What terrific blog candy! Your gift card holders are so beautiful. Thank you for the chance to win! Merry Christmas. These are beautiful! I’m inspired to make my own! So many of us are giving gift cards for all occasions. Thanks for the great examples/ideas for creative ways to give them as gifts. Oh, how I would love to win your blog candy…these holders are so adorable! TFS! I know for sure I could use both of those gift cards. 🙂 Especially, since I’m a Starbucks lover. hehe Think I need to learn how to make those holders now too. Just in time. A gift card holder. I must get on to making a couple! Thanks for the oppotunity to win some blog candy. These are so beautiful. I might have to try and make one myself. The gift cards are absolutely beautiful. Hope I get a chance to make one this week. Thanks for the blog candy offer- very generous. I’m giving my 4 teenage granddaughters gift cards this year and I bet I get some great new ideas from this challenge! Yeah! These are cute. I will have to give this a shot. I usually give Gift Cards in “stockings” so now I have a better way to “stuff” them. Thanks for a chance to win one of your ideas. Barb S.
Wow, what generous blog candy! Thank you for a chance to win! I like all of the gift cards you posted. I don’t know which one is my favorite! i like the variety of the gift card holders you made. thanks for the inspiration and the blog candy! Wow! The gift card holders are more precious than what’s inside. Thanks for your inspiration! 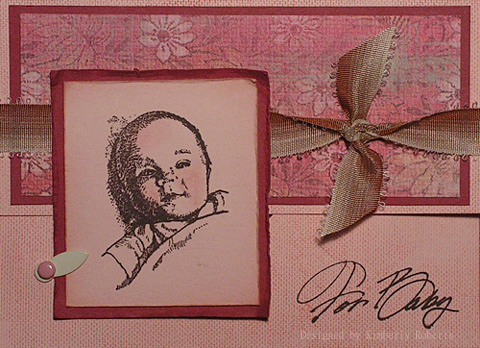 I love the way you used the photo turns to hold the card closed–I’ve never thought of that! Great idea!!!! Such rich colors and classic design. Your work is excellent! Thank you for sharing. Stunning gift card holders! Love those bows! Great ideas for gift cards! Thanks for the chance to win! Love your gift card holders! The colors are gorgeous. Great blog candy too! I hope to get a chance to play. Beautiful..!! Love the big bows. They really make these look like a gift in themselves. Well….isn’t this fun!!! I live a hop, skip and a jump from both of those gift card places and it would be awesome to win either! Thanks for making this opportunity available for us!…with the economy the way it is it makes it hard to spend any extra cash at Starbucks…wouldn’t feel guilty using this one! Great gift card holders! thanks for sharing! Those gift card holders are beautiful. Thanks for the recipe! I could use either gift card. Thanks for sharing. Loving those big bows on those gift cards! We just decided to “trade” gift cards between all the cousins along with a special note instead of guessing on gifts. Your post couldn’t have been better timing for me! I haven’t completed all my Christmas shopping yet and think that gift cards are the way to go now. It’s easier shopping and the recipient will have their choice of selection from the designated company. This makes for a joyous holiday season. Your gift cards are lovely with their giant bows. 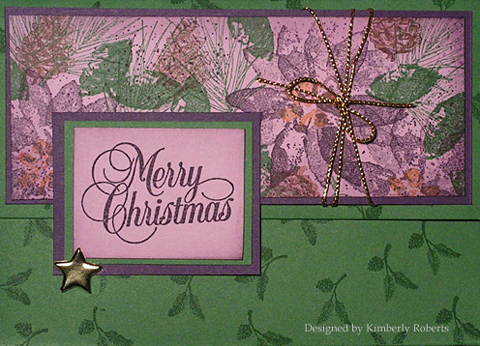 I love the papers and die cut corners – how wonderful of you to give them away! I hope to come back with some of my own to post! I used to complain when my husband would buy his mom a gift card and tell him it takes no thought whatsoever. But I am now finding it really is thoughtful in that it allows the receiver to buy something they really want. When I receive one, I hold tight to them and find something I really want. I will be making some of these for Christmas for sure!! 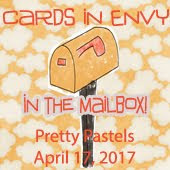 What great card holders, What great blog candy! I made one! Fun. I modified it – made it longer to hold money. Thanks for the idea. You envelops are BEAUTIFUL. I love your gc holders – I have some started on my desk right now that need about 20 more minutes to be useful – so I should get up there and do it! Thanks for the inspiration and the great and oh-so-useful blog candy. Susan, your cards and gift cards are beautiful. I always need some gift cards every Christmas. Actually they are great for birthdays too. TFS your talents! Oh Susan, both are so lovely! I love all the details you add. 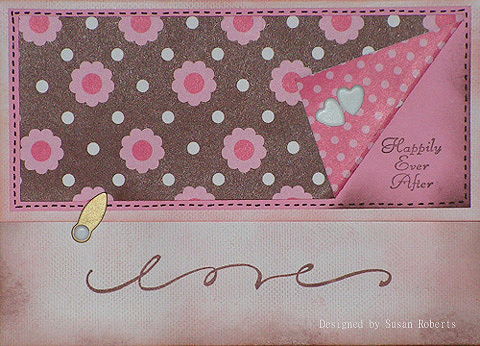 Just look at the embellishments you added to the CB corners! Fabulous! Those are pretty gift card holders. I’ve been using the same pattern for a while & it’ll be nice to have another idea to use. 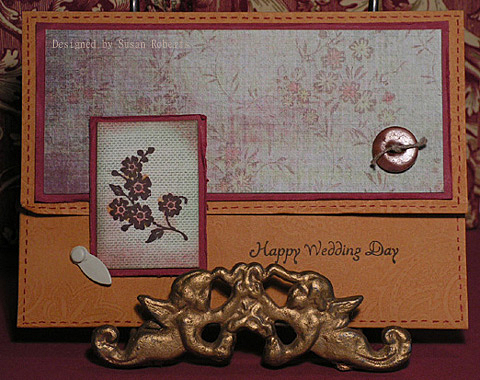 Beautiful gift card holders…awesome blog candy. Thanks for an opportunity to win! These are ALL wonderful!!! 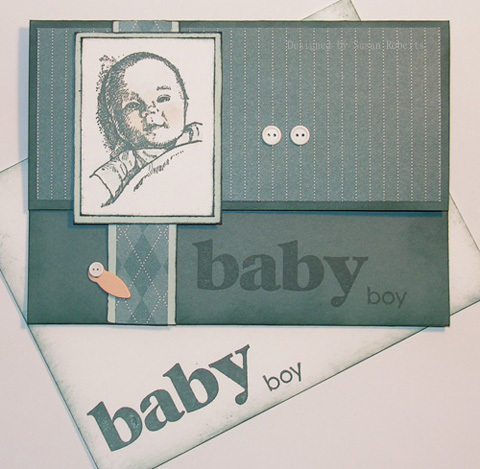 Can you believe in all my years of stamping I have never made a gift card holder! :0 The shock! LOL I think I’ll need some this year, I feel like I am running out of time. They’re absolutely beautiful Susan, love the SU DP! Now, that is a tough choice…I would love either holder! I am so behind, I hope to upload for these great challenges. Wish I didn’t work outside of home, sometimes. Smiles! Love the variety of card holders especially since my 5 nephews (ages 9 to 30) have all indicated that is what they want this year. I think it is incredibly boring and might have to buy them each a little something but I guess it makes shopping easier! These are really wonderful! I’ve been thinking of buying some gift cards and making a holder like this would be perfect to present them in. Thanks for the lovely idea! 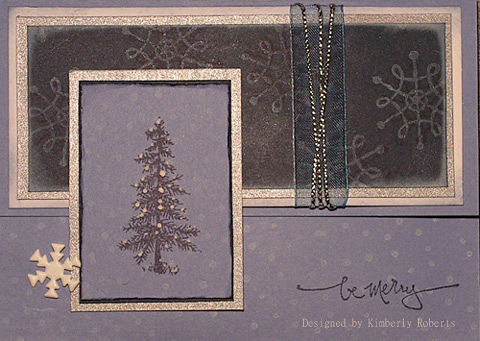 Here’s my gift card http://jennscrafts.blogspot.com/2008/12/gift-card-holder.html. Thanks for the chance to win. What wonderful gift card holders, Susan…love them all!!! We are giving gift cards to our big kids this Christmas so I better get busy and make some holders!!! Thanks for the inspiration…I’ll get some made this week!!! I played! link to my post here http://www.eclecticendeavours.blogspot.com on wednesday dec 10 in the evening. thanks for a chance to win! Love them both, thanks for inspiration! Have fun with your son and DDIL. I bet you can’t wait for the baby to arrive. I just started downloading templets. The gift card holders are really nice. Thank you for the many ideas for paper crafting. Finally got mine uploaded to SCS. Great challenge, and a great template to work with. Thanks so much for the idea! Here are links to pix of my gift card, which I made for my nephew. Wow! You did an amazing job with this card holders! Thank you for sharing the template Susan! I can’t believe how cute these are!! Even if I can’t win them I can CASE them. Thanks for sharing them and inspiring me. Beautiful gift card holders, especially the Starbucks! And I just love your onesie…I also had to makes these for my dtr-in-law when she was expecting our little baby girl! Such fun! I am not a coffee drinker either but you are right about Starbucks hot chocolate! Your gift card holders are to die for! WTG!! Love your gift card holders! They are gorgeous. What generous blog candy you’re giving away! 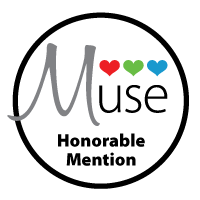 I love all of the giftcard holders that you featured — FABULOUS! Thank you for the generous blog candy! great way to personalize gift cards. and great blog candy. 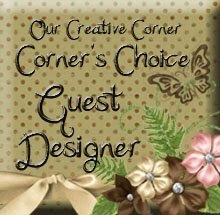 I recently discovered your blog and love your designs! These gift cards are terrific! I really had fun with this challenge! Hope you like what I came up with!